Wondering how to cook a turkey or how long to cook a turkey? Butterball has your answers. Roasting in an oven is one of the most popular ways to cook a turkey. It's simple, convenient, and gives your turkey a classic flavor. We'll start with roasting a turkey, then scroll down for instructions on brining a turkey, pre-cooked turkeys, boneless roasts, baking a turkey, and cooking whole turkey breasts. Whether you're a first-time cook or a seasoned pro, we've got answers to all of your questions. The Butterball Turkey Talk-Line provides answers to all turkey questions in English and Spanish at 1-800-BUTTERBALL (800-288-8372) from now until December 24. It's open Monday through Friday from 8am-8pm CT, and on Thanksgiving Day from 6am-5:00pm CT.
Roasting a whole turkey is easier than you think. When the turkey is about done, loosely cover breast and top of drumsticks with a piece of foil to prevent overcooking. Your turkey is done when temperature is 180° F in thigh and 165° F in breast or stuffing. Lift turkey onto platter, and let stand for 15 minutes before carving. 4 1/2-7 lbs.- 2-2 1/2 hrs. / 2 1/4-2 3/4 hrs. 7-9 lbs.- 2 1/2-3 hrs. / 2 3/4-4 1/2 hrs. 9-18 lbs.- 3-3 1/2 hrs. / 3 3/4-4 1/2 hrs. 18-22 lbs.- 3 1/2-4 hrs. / 4 1/2-5 hrs. 22-24 lbs.- 4-4 1/2 hrs. / 5-5 1/2 hrs. 24-30 lbs.- 4 1/2-5 hrs. / 5 1/2-6 1/4 hrs. Roasting Tip: If you don't have a rack, crunch aluminum foil into a coil or use vegetables like carrots to keep your turkey off the bottom of the pan. 6-10 lbs.- 1 1/2 -2 hrs. / 1 3/4-2 1/2 hrs. 10-18 lbs.- 2-2 1/2 hrs. / 2 1/2-3 1/4 hrs. 18-22 lbs.- 2 1/2-3 hrs. / 3 1/4-3 3/4 hrs. 22-24 lbs.- 3-3 1/2 hrs. / 3 3/4-4 1/4 hrs. Place turkey on flat rack in a shallow roasting pan, 2 to 2 1/2 inches deep. When turkey is about 3/4 done, loosely cover breast and top of drumsticks with a piece of foil to prevent overcooking. Your turkey is done when meat thermometer reaches 180° F in thigh and 165° F in center of stuffing. 7-9 lbs. / 4-4 1/2 hrs. 9-12 lbs. / 4 1/2-5 hrs. 12-14 lbs. / 5-6 hrs. Brining is similar to marinating, but is primarily focused on moistening the meat as opposed to adding flavor. Brining your turkey prior to cooking will help ensure you end up with a deliciously moist and flavor-packed turkey for your next gathering. Purchase a fresh turkey to eliminate the need to thaw, or completely thaw a frozen turkey. The night before roasting, remove the giblets and turkey neck. Rinse the turkey inside and out. Prepare your brine. Be sure to mix ingredients until all of the salt is dissolved. If your brine is heated, be sure to cool it to room temperature before brining. Place your turkey, breast down, in a large container made of food-grade plastic, stainless steel, glass, or a brining bag. Be sure the container will fit in your fridge. Add brine, covering the entire turkey. Place in the refrigerator for the specified period of time. Remove turkey from brine after recommended time. Rinse and pat dry with paper towels. Cook turkey as desired. 12 lbs. or less 8 to 12 hrs. 12 to 14 lbs. 9 to 14 hrs. 20 lbs. and over 15 to 20 hrs. Mix all ingredients until the salt is dissolved and follow our Brining Steps. Did You Know? As a rule of thumb, you should brine your turkey 45 to 60 minutes per pound. 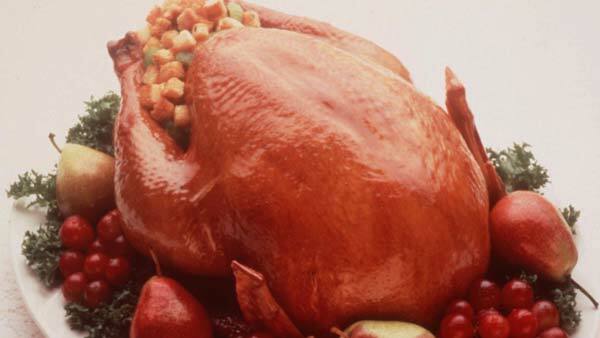 Fully cooked turkeys are an easy way to get a great tasting turkey on the table in less time. Place thawed turkey, breast side up, on flat rack in shallow roasting pan 2 to 2 1/2 inches deep. Cover breast loosely with foil after 1 to 1 1/4 hours to prevent over-browning and drying. 8-10 lbs.- 1 1/4-1 3/4 hrs. / 2 1/4-3 1/4 hrs. / 1 1/4- 1/2 hrs. 10-16 lbs.- 1 3/4-2 1/4 hrs. / 2 3/4-3 3/4 hrs. / 1 1/2-2 hrs. 16-18 lbs.- 2 1/4-2 1/2 hrs. / 3 1/4-4 hrs. / 2-2 1/2 hrs. 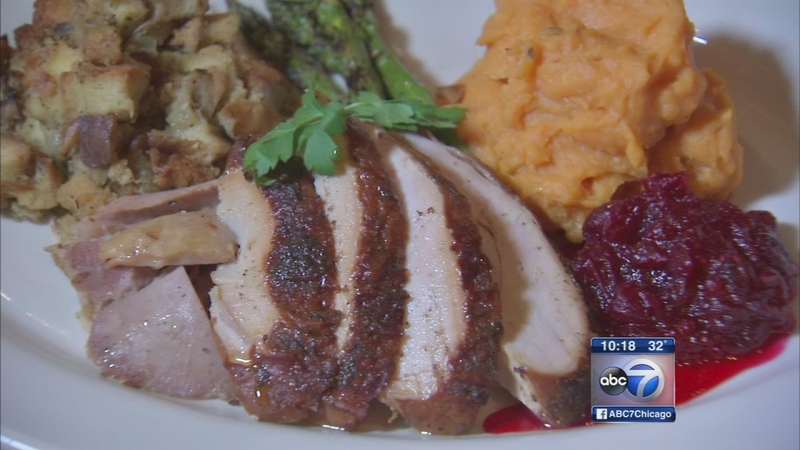 Whether you're grappling with home-cooked leftovers or looking for a restaurant to make Thanksgiving dinner for you, Weber Grill has the answers. 3-5 1/2 lbs. - 1 1/2-2 1/4 hrs. / 2-2 3/4 hrs. 5 1/2-9 lbs. - 1 1/4-2 3/4 hrs. / 2 3/4-3 1/4 hrs. 3-5 1/2 lbs. - 1 1/2 -2 hrs. / 1 3/4-2 1/2 hrs. 5 1/2-9 lbs. - 2-2 1/2 hrs. / 2 1/2-3 1/4 hrs. 18-22 lbs. - 2 1/2-3 hrs. / 3 1/4-3 3/4 hrs. 22-24 lbs. - 3-3 1/2 hrs. / 3 3/4-4 1/4 hrs. 3-5 1/2 lbs. 3-3 3/4 hrs. 5 1/2-9 lbs. 3 3/4 -4 1/2 hrs. 1 3/4-2 hrs. / 2 1/2-3 hrs. Roasting Tip: Since you can't adjust the string netting when roasting from frozen, be sure to wrap the roast in foil after it comes out of the oven.